have anyone noticed how the ships look in truth? I've never seen any covenant carrier ships looking like that. I noticed these ships immediately. 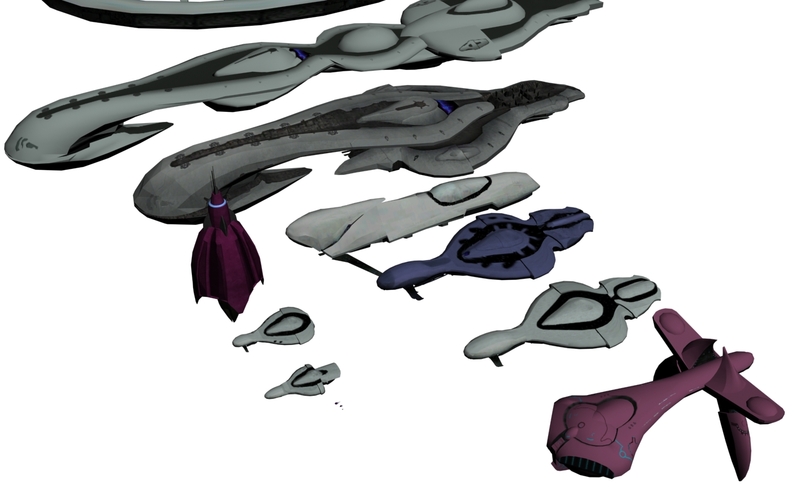 I assumed that they were new ships in the post-war era for the Arbiter's faction. But the ship has a message terminal from a prophet and you can see what looks like a Halcyon/Marathon/Autumn class ship. Maybe Catalog will tell us about these new ships and where/when the map truth takes place. Yeah in the Sprint they talked about how the fiction of this map is supposed to be aboard Arbiter's ship during the Battle of Installation 04. Not sure why they had to redesign ships from that era now. but phantoms were in reach though so they could have been while the ships are completely off. That is true. I still don't under stand the senseless redesign of ships. Unless they are variants that never had visual equivalents. yeah i need catalog too answer this stuff. i even remember on Sprint that they had to ask the story guys before creating truth and how could they accept those ships when they don't even fit the story at all. yes true but they were not seen during the game implying that the spirit was Thel 'vadam's choice of dropship at the time but since then he has changed to prefer the phantom, most likely. There are Covenant ships that were never illustrated, like the Frigate. I find highly unlikely that it is a redesign of an already illustrated ship. There a alot of vessels that have not be designed yet are represented in novels or references. Next time you are on Truth, take a look outside blue (I think) window. Past the cluster of warships there is a massive unidentified vessel, some sort of carrier or docking ship. Almost looks like a super-sized Liche. I've taken a look, all have the same design but vary a bit in size it seems. but people this map takes place in CE time and ships like that weren't there. It wouldn't be the first time that something new magically appears. I think it's a redesign of an existing ship (battlecruiser?). The UNSC Forward Unto Dawn was redesigned in Halo 4, so it's not unreasonable to think that something similar has happened here aswell. The Covenant vessels seen in this War Games map set are contemporary designs within a historical scenario. For clarity: All War Game scenarios are combat simulations that take place within the UNSC Infinity. Many such map sets are based on actual locales - either reconstructed from fragmentary records (as in the case of the specific layout of the Undiminished Entelechy and deployment/composition of Thel 'Vadamee's Fleet of Particular Justice) or built from remotely sensed and on-site survey data for mission preparation and familiarization. Specific implementation of artistic [touches] is at the discretion of the simulation designers and [narrative] builders. Catalog has been everywhere lately. Thanks for clearing that up. Side note: For the love of god, give us an update on Team Saber. Go do we know that? 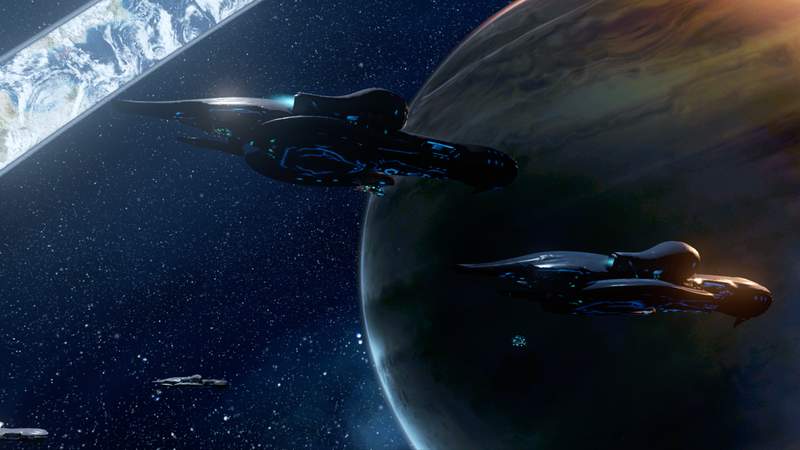 The Fleet of Particular Justice and the ships that comprised it during the Battle of Installation 04 have never been completely confirmed. Just the ships that attacked the Autumn. These could just be a new class of ship we've never seen. It wouldn't be the first time this happened.